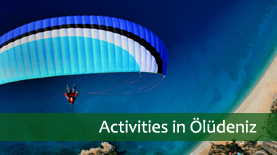 Once a minor fishing village and market town, Fethiye has become a thriving tourist center in recent years due to the growing popularity of nearby Oludeniz and easy access to some fascinating sites. Fethiye was once a Lycian City and traces of the ancient settlement can be found around the town, which include the magnificent rock tombs on the face of the cliff. 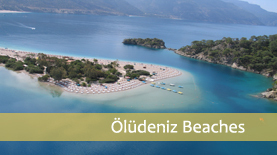 Fethiye retains a decidedly Turkish feel. Exploring the warren of shop-lined streets in the old quarter is a fascinating experience. Restaurants are in abundance, and the authentic feel of Turkish life permiates the whole area , giving a real insight into town life in Turkey. On market day the roads are full of vehicles of all types – from old American trucks, to horse and carts spilling over with a manner of produce destined to create the vibrant colours and smells of the market. The area boasts a good nightlife at the height of the season and now even through the winter months, with many bars and discos. There is an excellent choice of restaurants from traditional Turkish lokantas to large, stylish restaurants offering a wide range of international cuisine.